Simple hard-headed tassels can be made very elaborate, very easily. 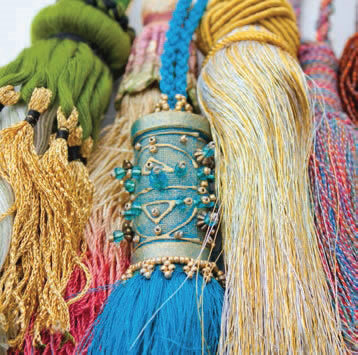 By adding fringing, beads and small tassels to a basic shape, create some wonderful tassels that can be used to adorn your home. Think of those magnificent curtain ties that you see in stately homes! 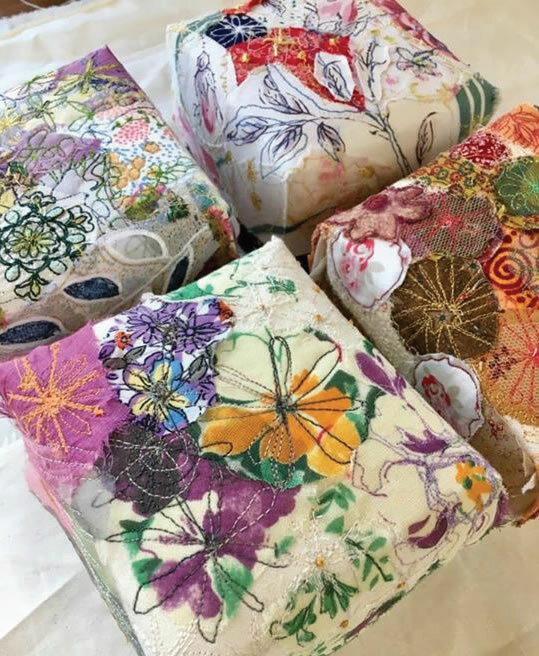 Experiment with free machine embroidery and fabric collage whilst creating a colourful and decorative lid for your box. Learn how to blend fabric and stitch together and add some thread drawn daisies. When your piece is finished, it will be folded and tucked needing just one stitch to keep it in place. Your pre-made box base is covered in a piece of fabric to complement the top. Some experience of free machine embroidery is required. 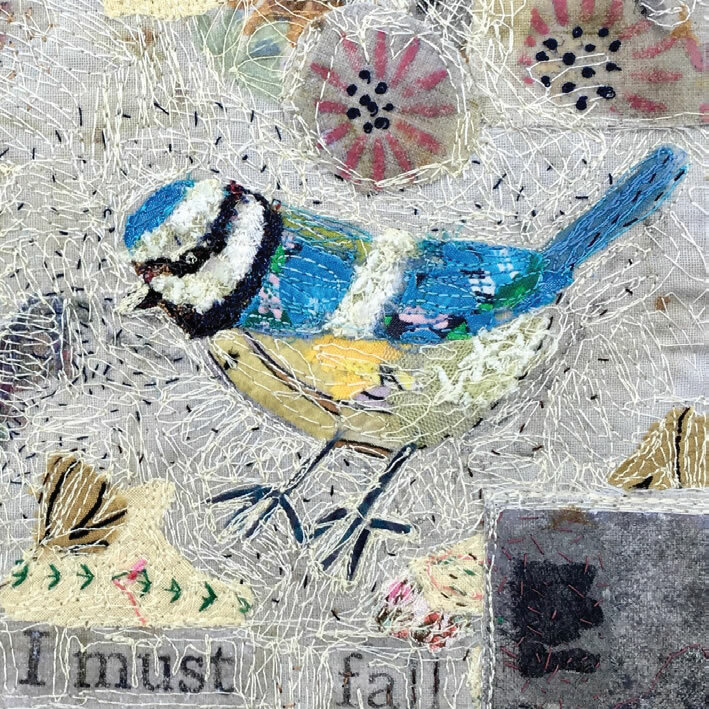 An opportunity to experiment with mixed media techniques, fabric collage and free machine embroidery. Each session will allow you to build confidence in applying these techniques which you may wish to use as inspiration to start a personal project. Your work could be developed further into a panel for framing or a personal journal. Some experience of free machine embroidery is required for these workshops. 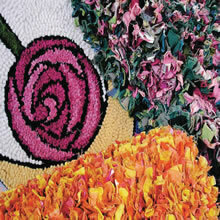 Discover how to recycle your old clothes and fabrics into vintage looking rugs and cushions. Learn two traditional rag rug techniques: Progging, which gives a shaggy texture, and Hooking, a series of loops used for pictorial details. Make a sampler using both, or just focus on one technique if you wish. Jenni will guide you through each process enabling you to start a project to finish at home. Flowers, Leaves and Seedpods in Batik. An exciting workshop to discover the exquisite art of batik. 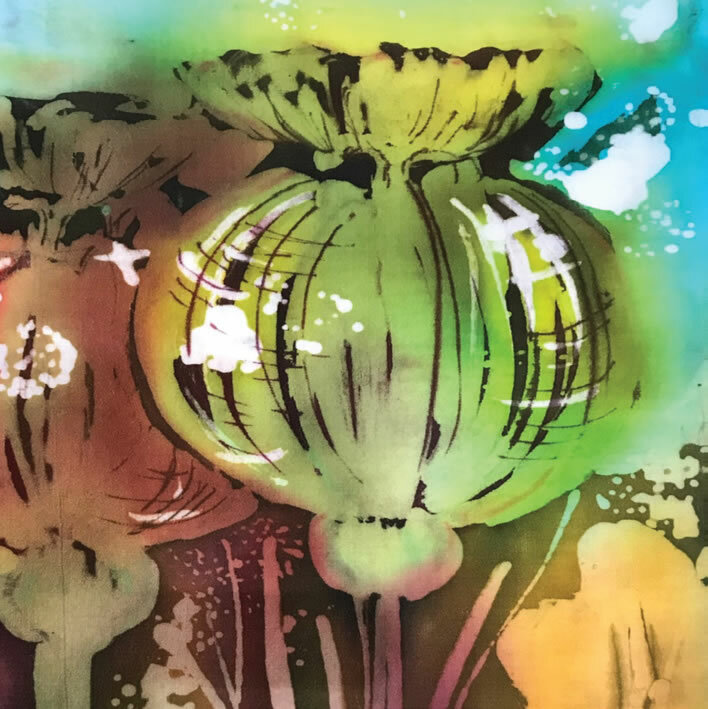 The beautiful shapes and colours provided by nature will be your inspiration to create batiks on paper, tissue paper and canvas using inks and bleach to add and remove colour, with hot wax as a resist. Create a selection of batik images suitable for immediate framing or for further embellishment with stitch, if you wish. 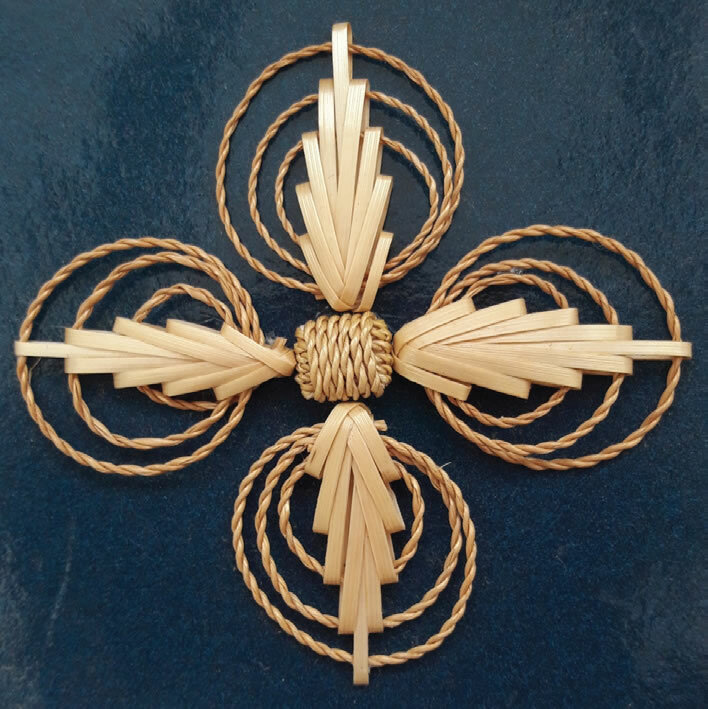 Join Anne Dyer for a beginners workshop in one of the ways of playing with straw. This is an incredibly versatile material and can be used to make designs that are both modern and historical. Try this easy and intriguing craft taken from Swiss straw work and use dyes and nail varnish to add colour. Create a beautiful concertina book. 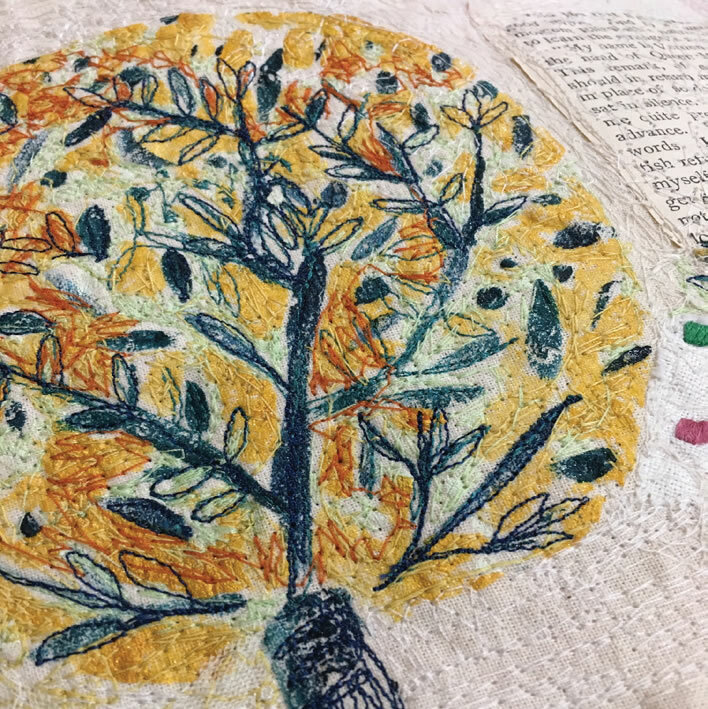 Explore how to layer up painted bondaweb and fabric collage and then how to draw into this using free machine embroidery. Particular detail will be given to the book cover. Once you are happy with your work, a backing can be added and folds for pages stitched into place. Some experience of free machine embroidery is required.